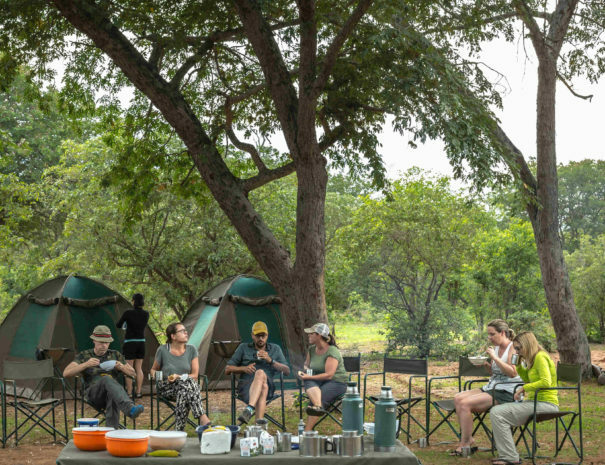 Know what to expect on your overnight camping experience with this overview of general information. Understand what you'll need to pack to ensure a comfortable experience. 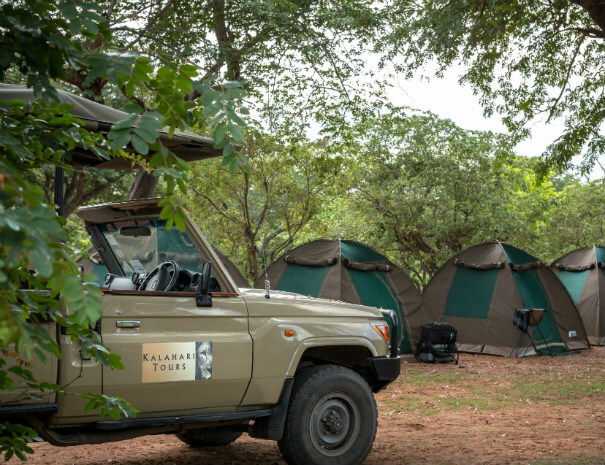 An overview of what is included with your overnight camping safari. Know what you else you may need to bring or pay extra for. Jeans or safari trousers for the cool evenings and mornings. A fleece or warm sweater for those early morning game drives. Binoculars and a camera with charged batteries - there is no electricity in the bush (we can charge via the cigarette lighter 12V only). If you enjoy a whisky or the like, you are welcome to bring a bottle along to sip by the Campfire. Please attempt to travel as light as possible - space is always an issue on Safari. If you have recently travelled to a yellow fever area please ensure you have the relevant yellow fever vaccination requirements in place. Please ensure you have checked the appropriate Visa requirements for your nationality before travelling. Last but not least, a sense of humour ………… this is Africa!! All camping equipment including spacious walk in tents with a bed roll and bedding (mattress, sheet duvet and pillow). Food, mineral water and house wine with dinner are supplied. Dinner is a two course meal and consists of hearty ‘Bush Cuisine” cooked on open fires. Items of a personal nature (e.g. towels and toiletries). 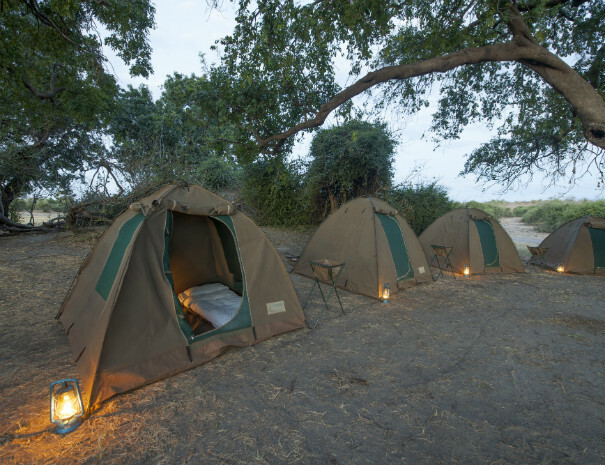 We will be camping in Chobe National Park in Exclusive Wilderness sites ie HATAB or BOGA sites, with no other campers nearby. If the sites are fully booked we will be forced to use the public site at Ihaha, although this is very rare. All trips will have a backup team, including a cook and minimal/no participation is required. Ablutions consist of rustic open air bucket showers and long drop-style toilets. We attempt to work two departures weekly: i.e. on Tuesdays and Fridays. In the event of groups of over 6 these set days are flexible and we can negotiate discounts for groups of over 12 pax. All trips will be run by skilled, licensed professional guides and a backup team.